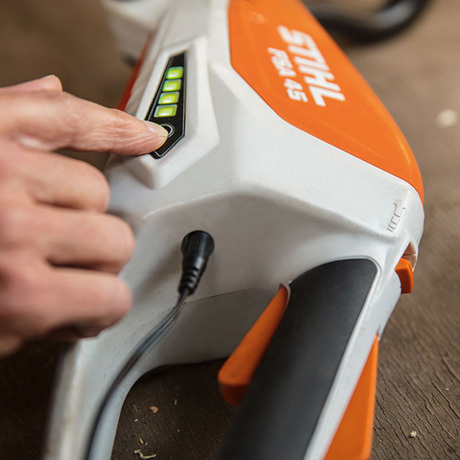 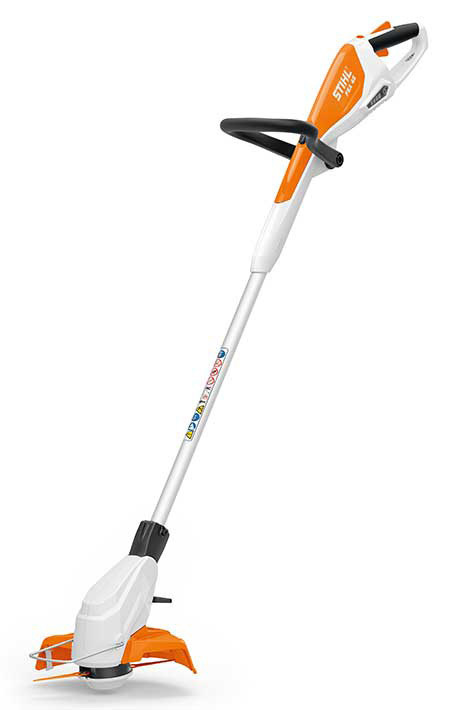 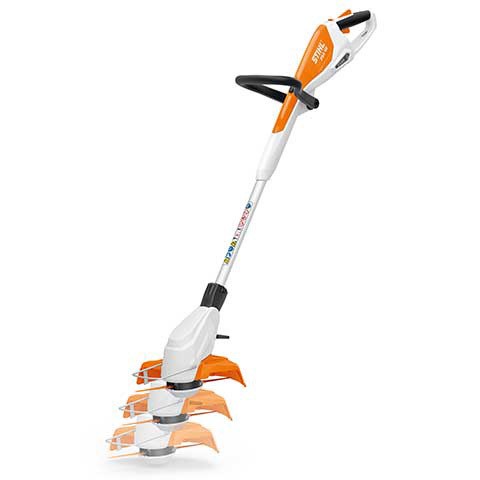 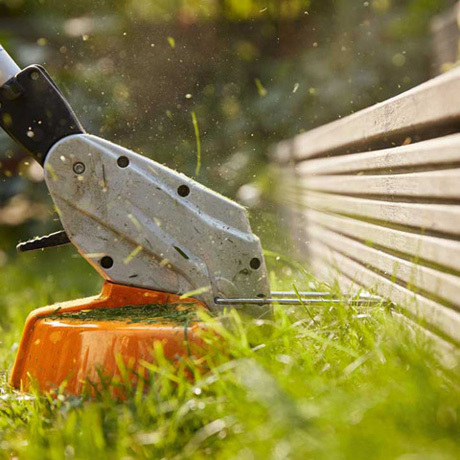 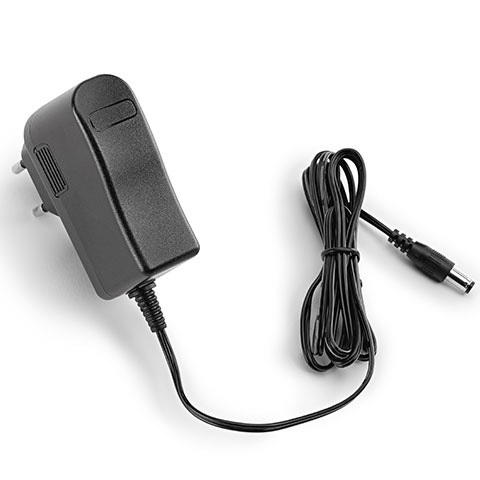 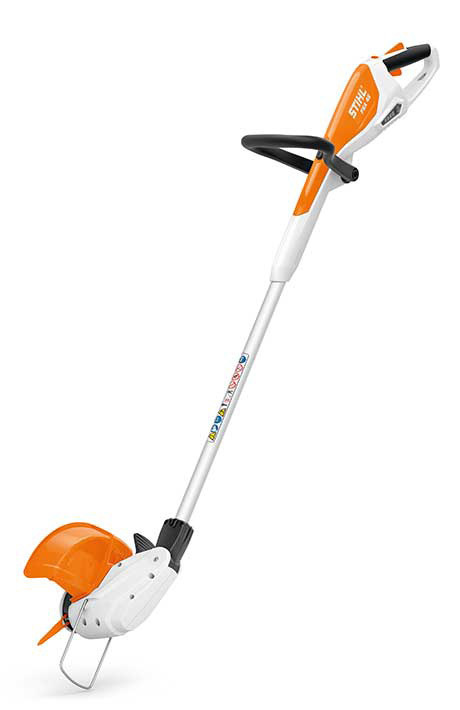 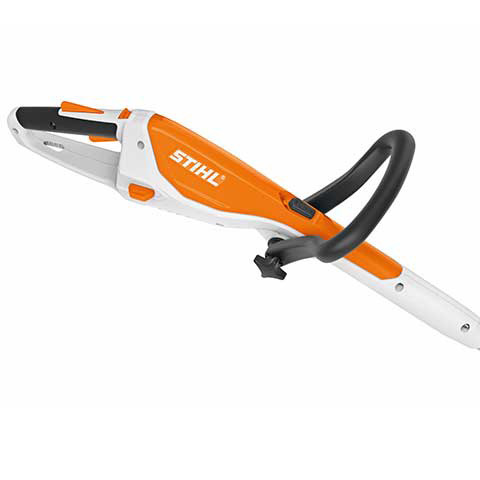 Compact battery Grass Trimmer for straightforward trimming and clearing work in outdoor areas at home. 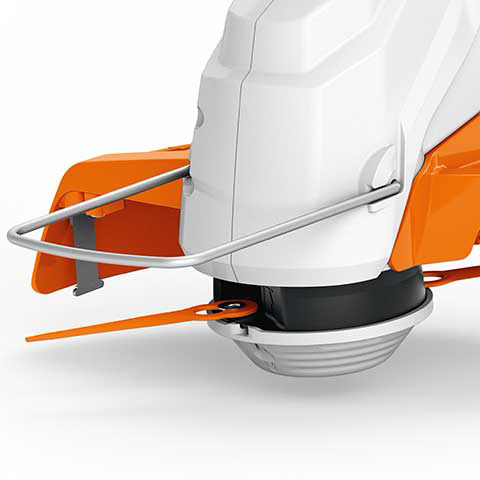 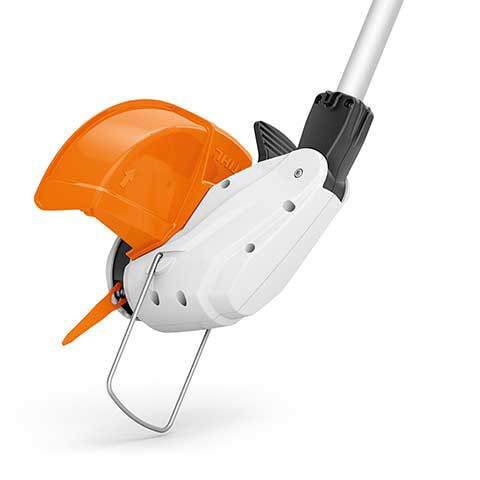 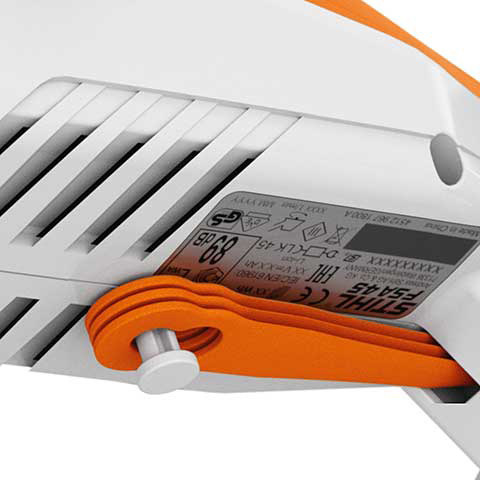 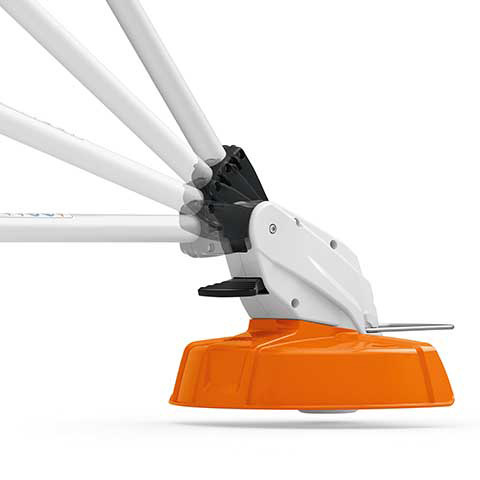 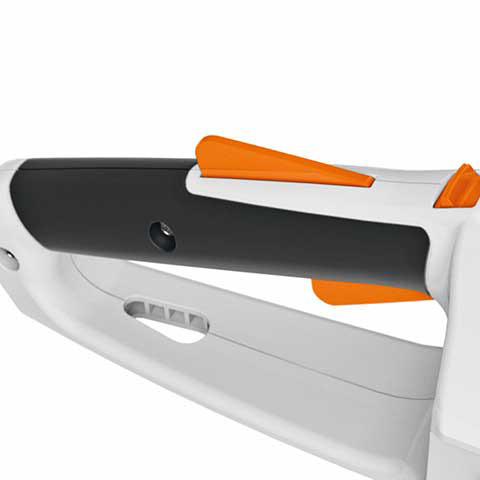 Integrated battery with charge level indicator, shaft and loop handle offering tool-free adjustment, adjustable mowing unit working angle (useful for vertical edge trimming among other tasks), easy to switch between PolyCut blades and mowing lines without changing the mowing head, spacer bracket. 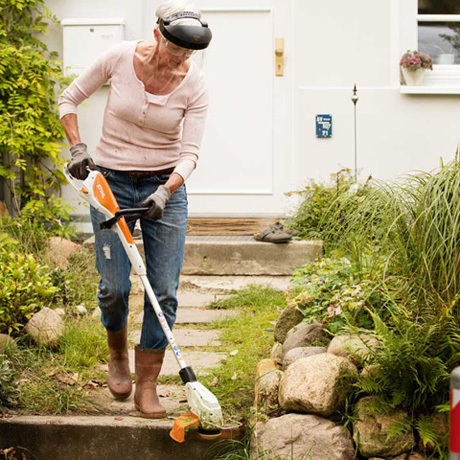 Thanks to the soft handle with lever lock function and lever, the user always has the cordless brushcutter safely under control. 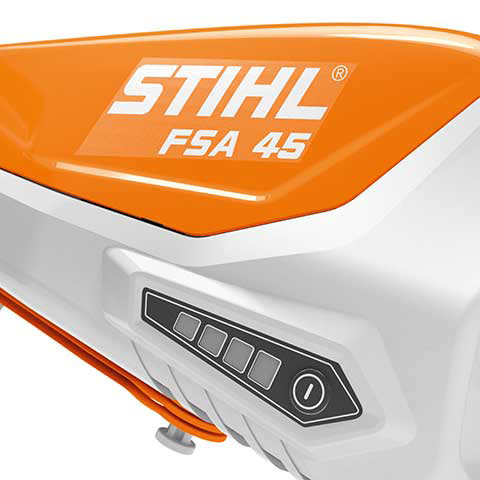 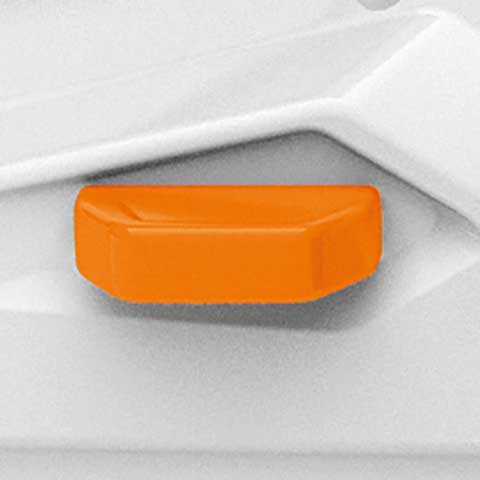 The eye for wall mounting means that the FSA can be safely stored in a compact space. 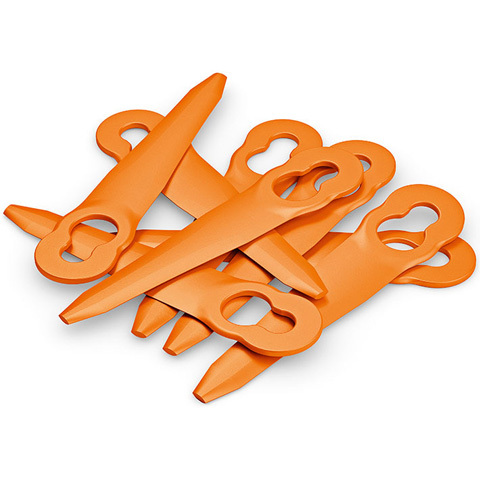 For PolyCut 2-2, eight plastic blades.